Congratulations to owners ! 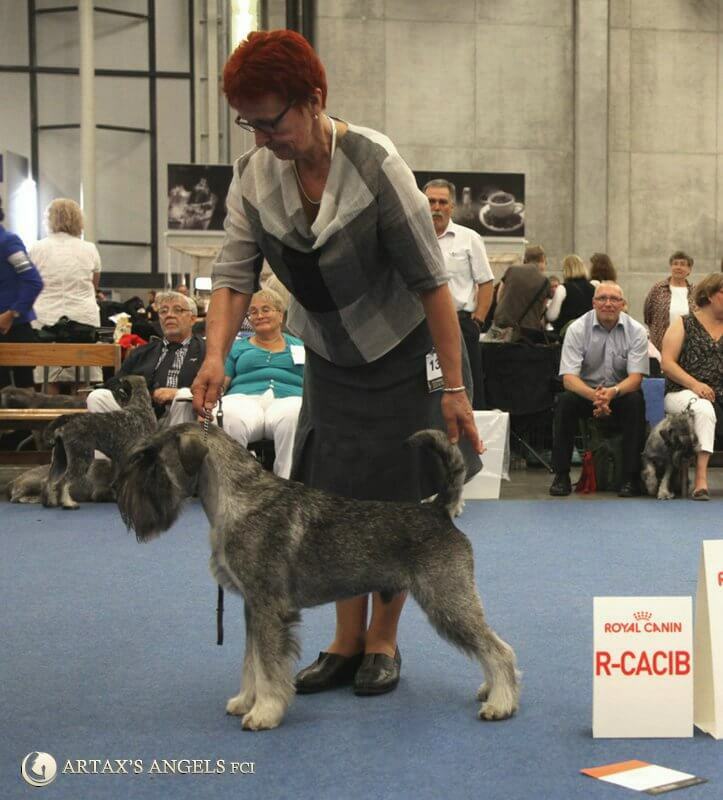 Great debut ! 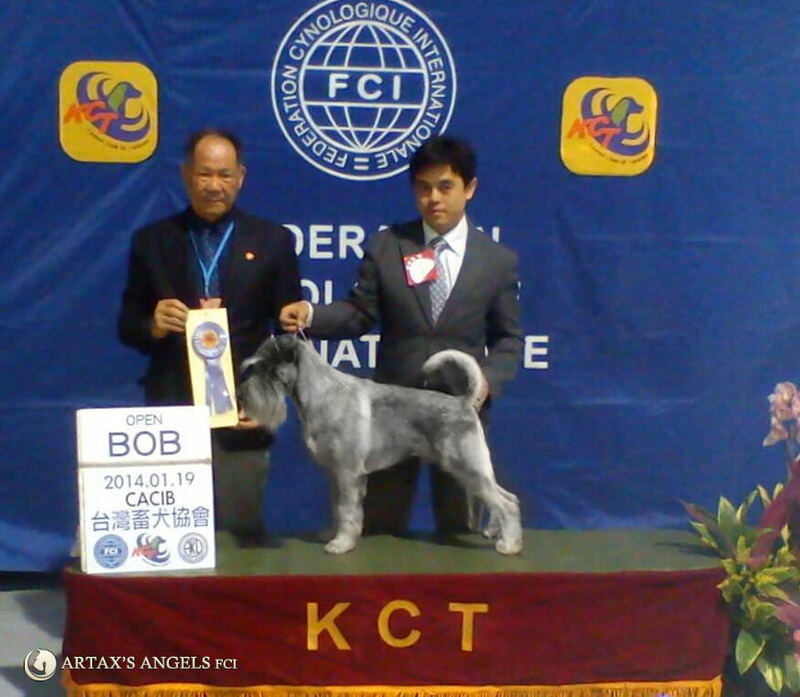 Iwy is officially a Champion! 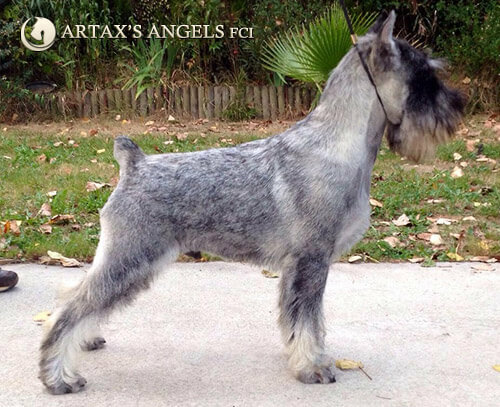 "Budo" Imperator Artax's Angels / champion class (29 males) - exc. 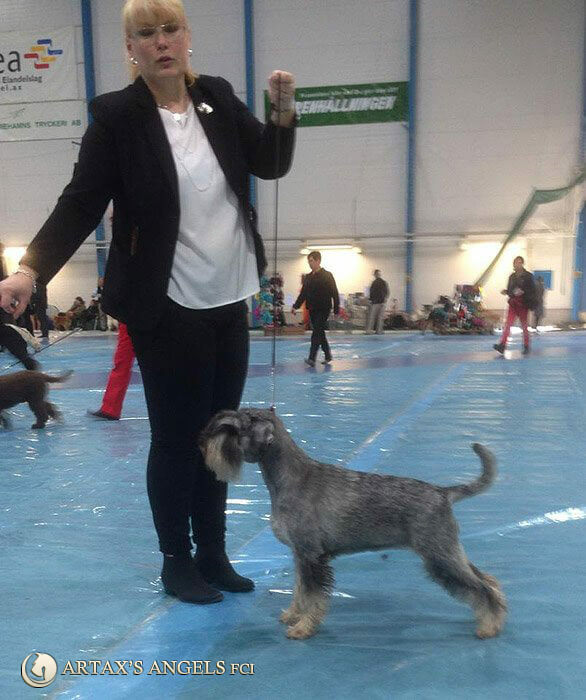 vice WORLD WINNER '14 ! 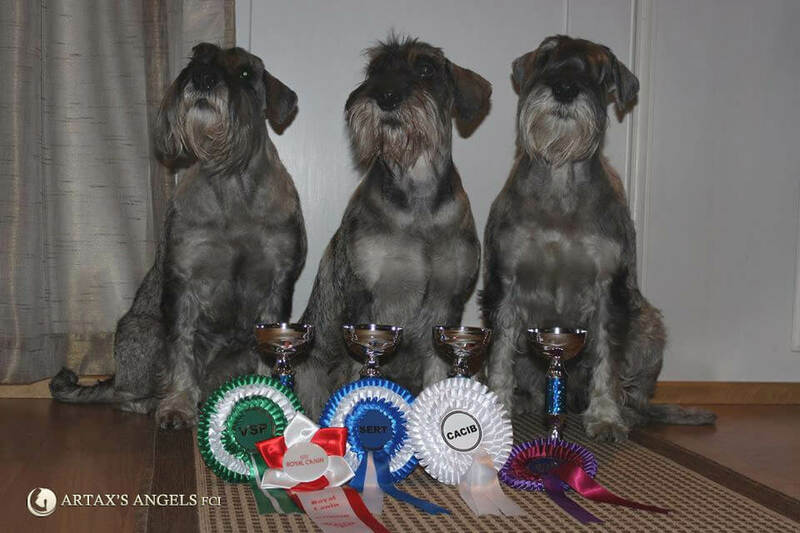 We got new pictures of beautiful Juppi Artax's Angels at the age of 18 months. 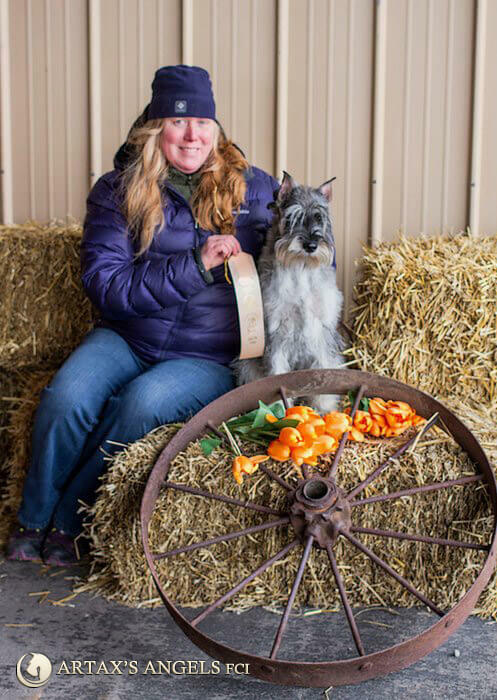 Big congrats to owners of Budo ! 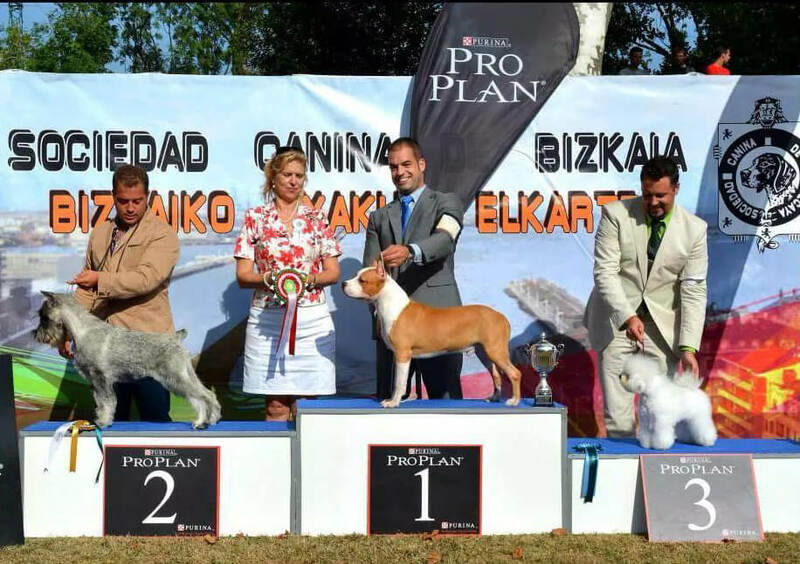 Big congrats to owners ! 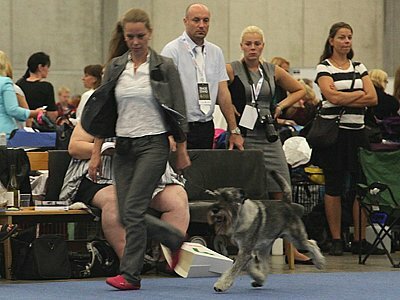 Needless to say we are very happy & proud of our crazy energy bomb ;-) Many thanks and congrats to Merja & Atte, owners of Budo. 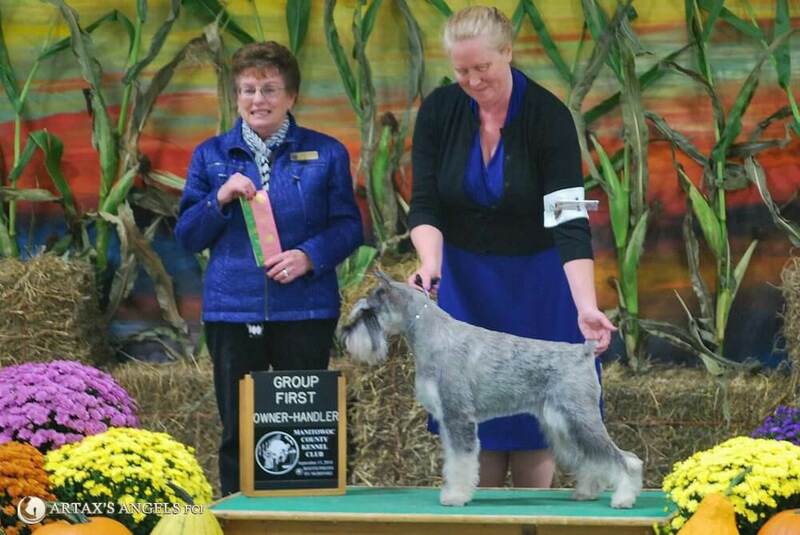 Congratulations to Marliese and Leo! 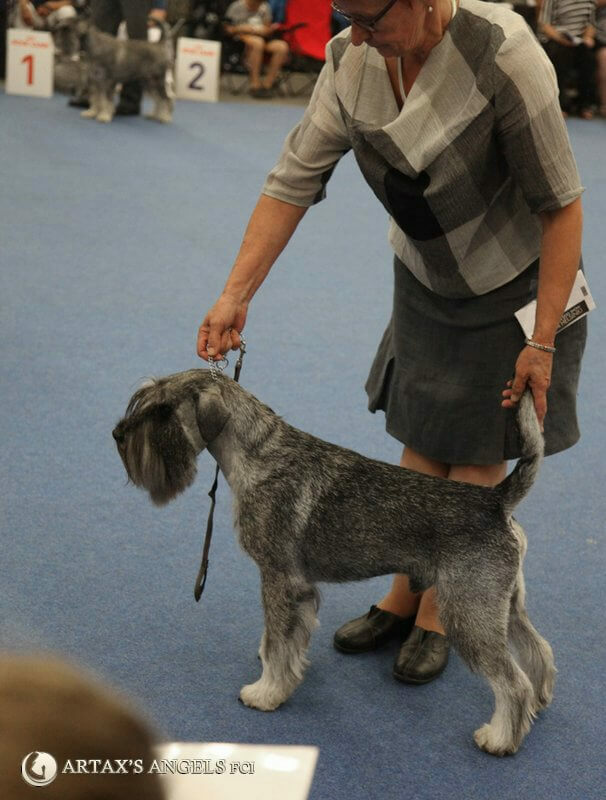 Best in Show for Iwy! 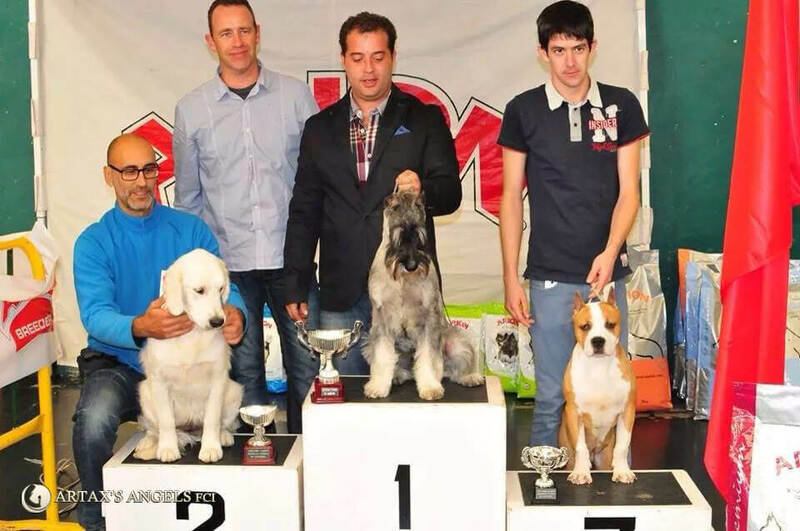 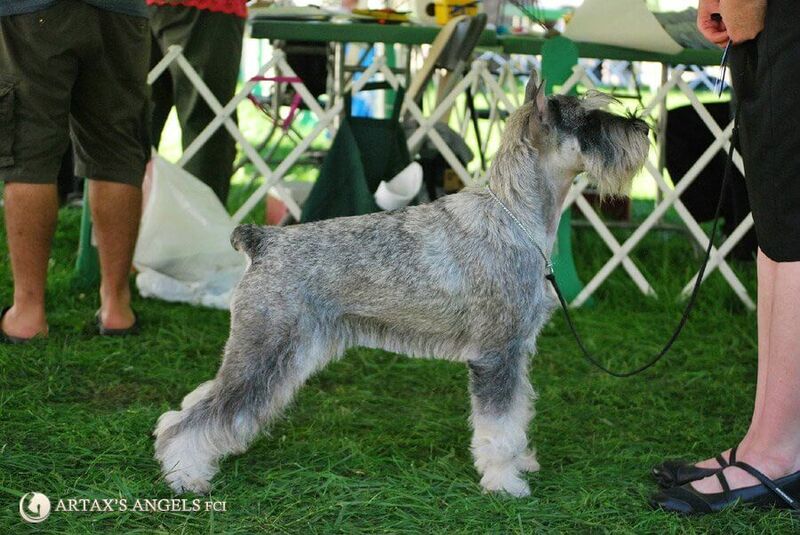 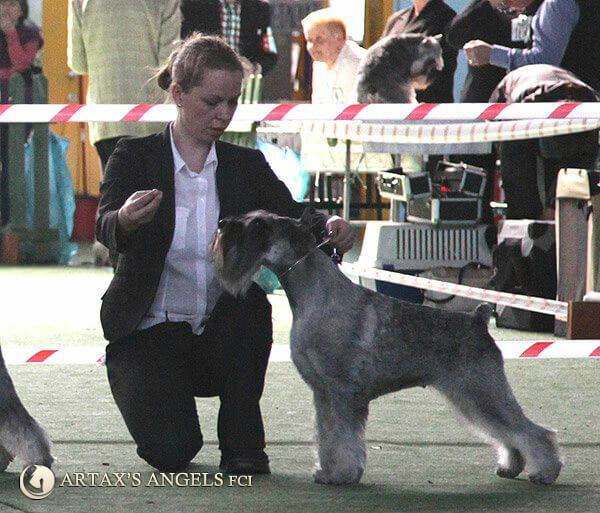 Jamba starts her International Championship in the age of 16 months! 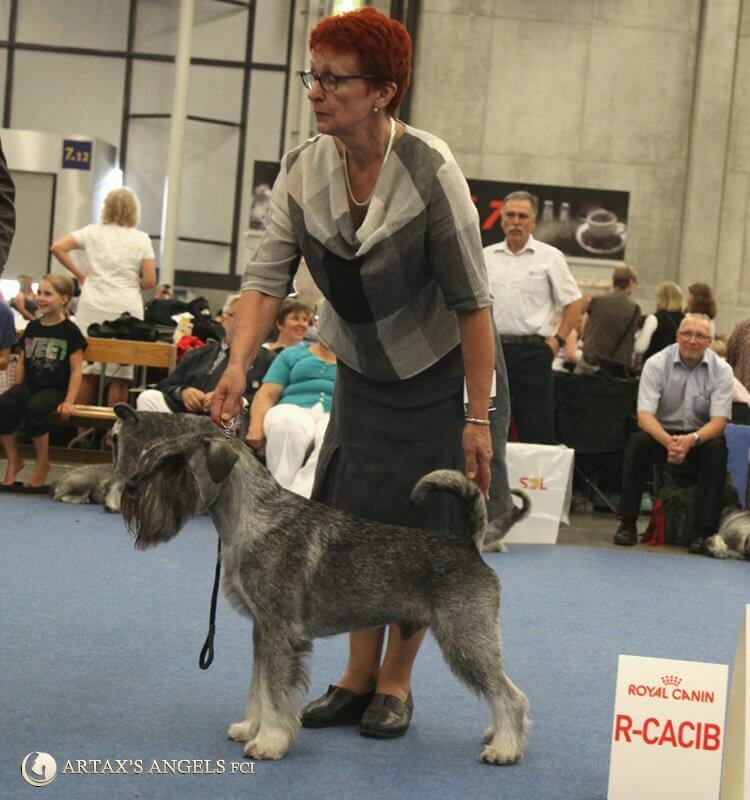 Our big congratulation to her owners Leo & Marliese Witaszek! 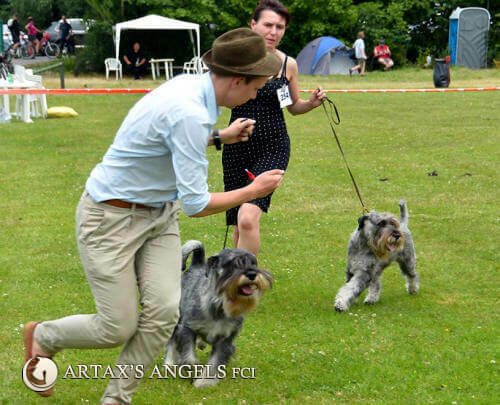 Jethro Artax's Angels can now add American Champion before his name. 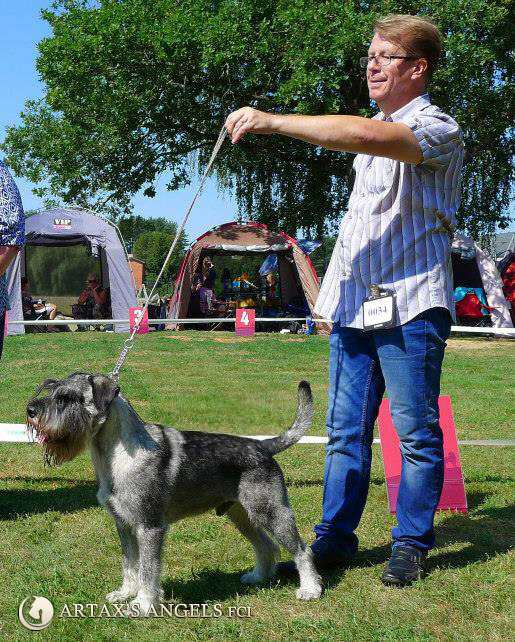 In saturday Jethro got a 3 pt major, Winners Dog and Best of Winners and again in sunday to gain the final point he needed for his title. 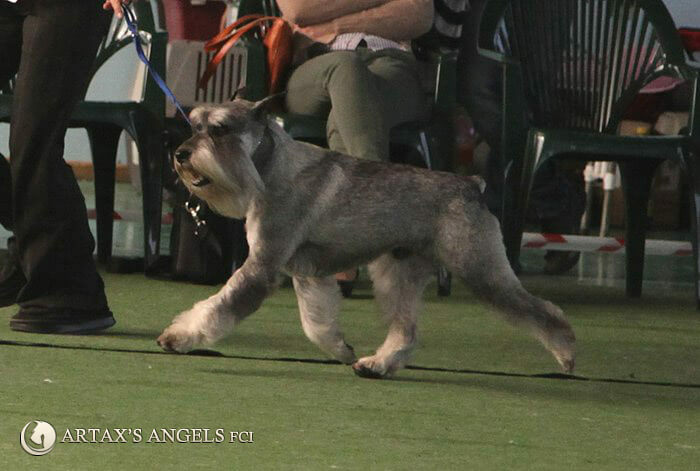 We are very proud of Jethro. 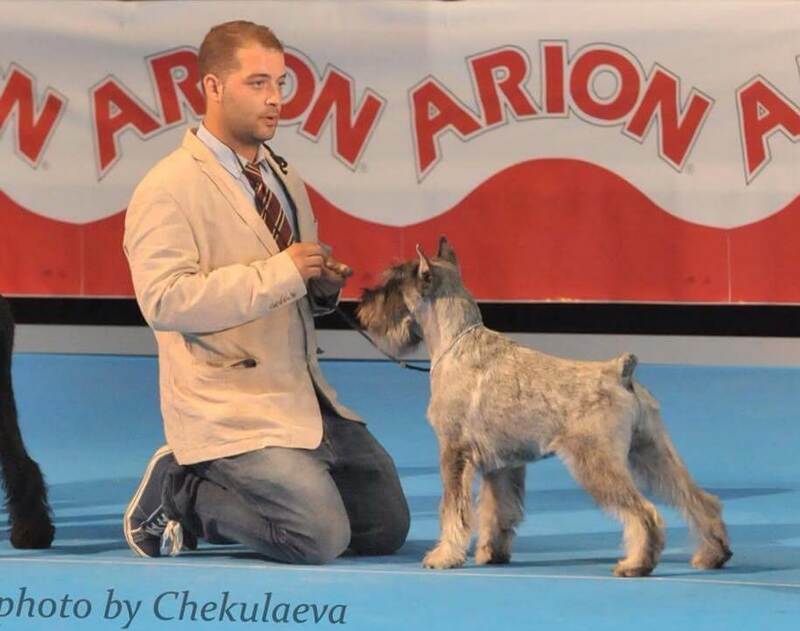 Our big congratulation to his owner Kellae Fischer ! 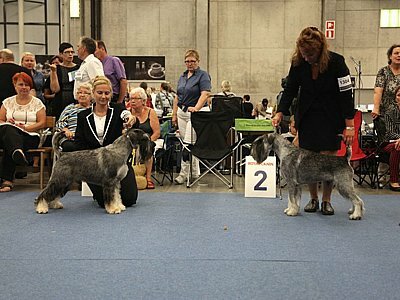 News from the Netherlands. 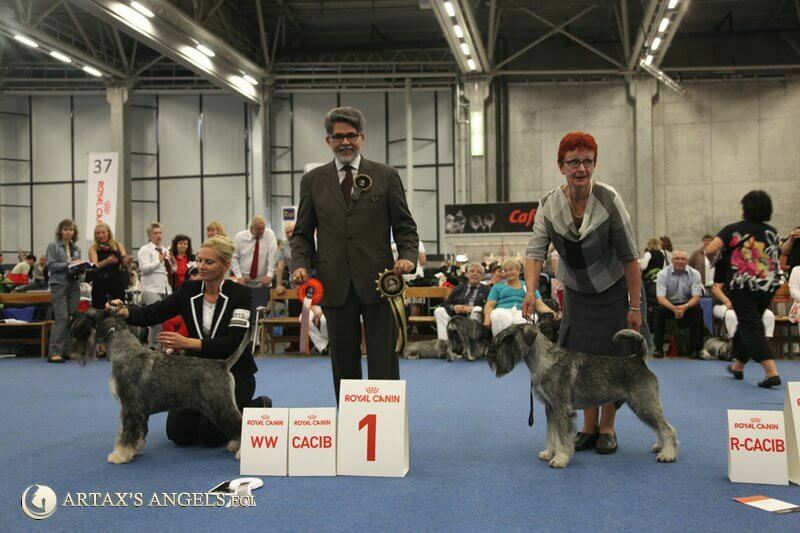 The last time "our"
This are the first awards for PSK-Club Ch., German Ch.PSK, German Ch.VDH and ISPU Ch. 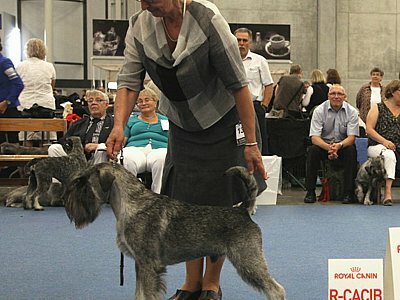 All german championships are started in the shortest time !!! 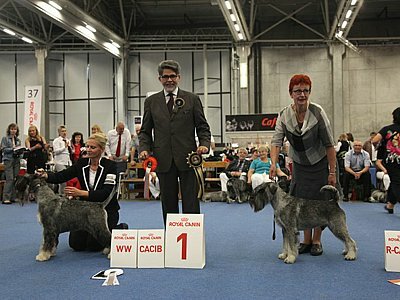 2nd Best in Show for Iwy in Bonn! 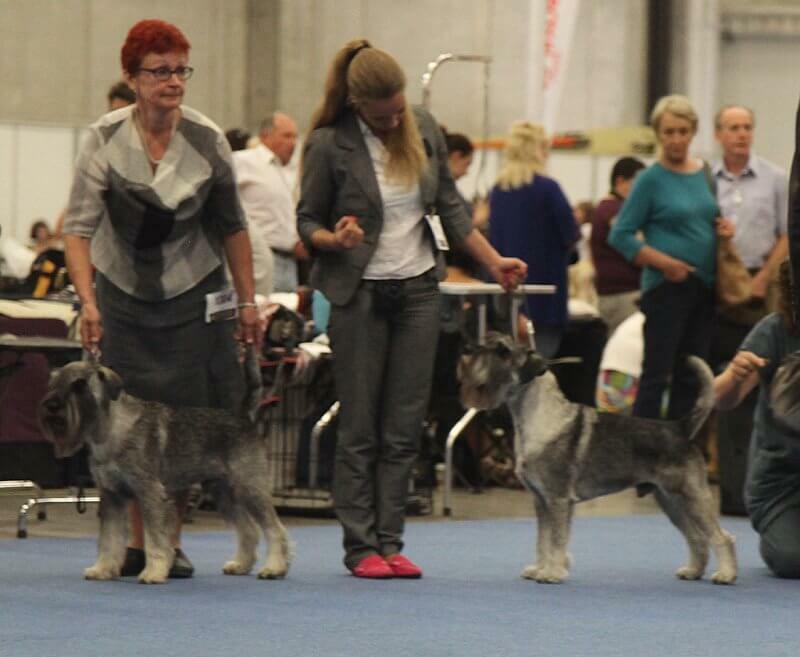 Congratulations for owners Elke and Werner Kadel ! 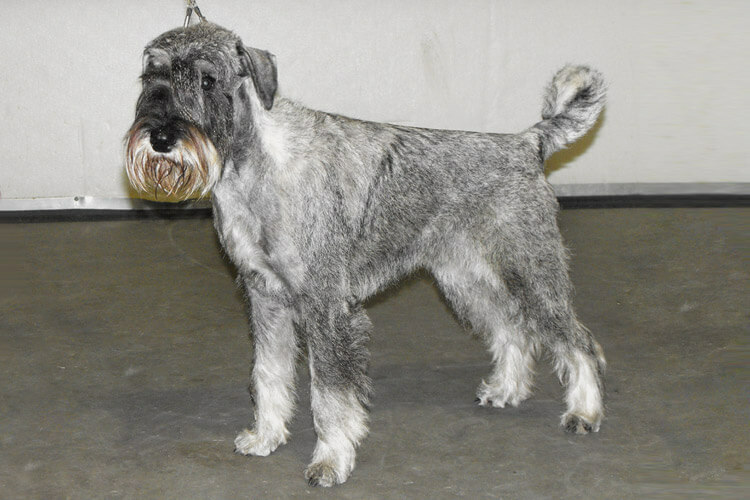 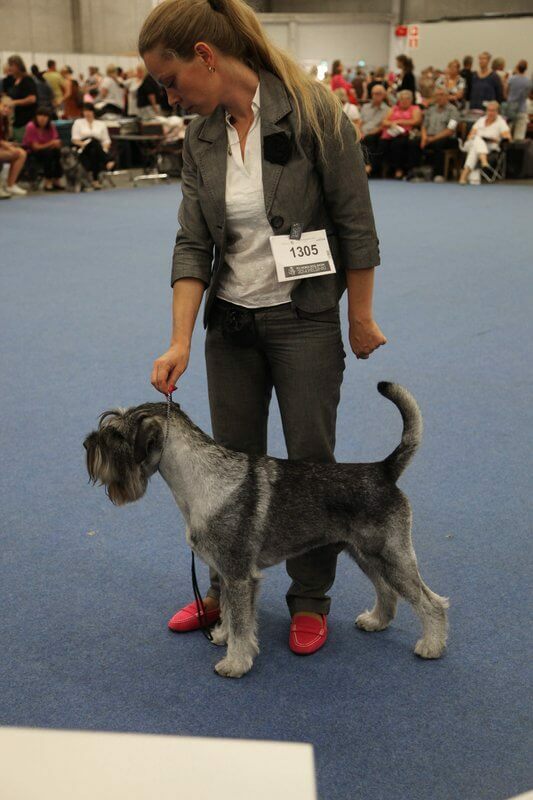 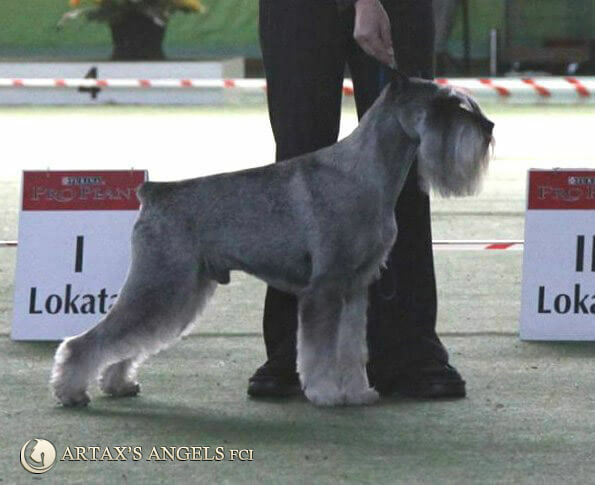 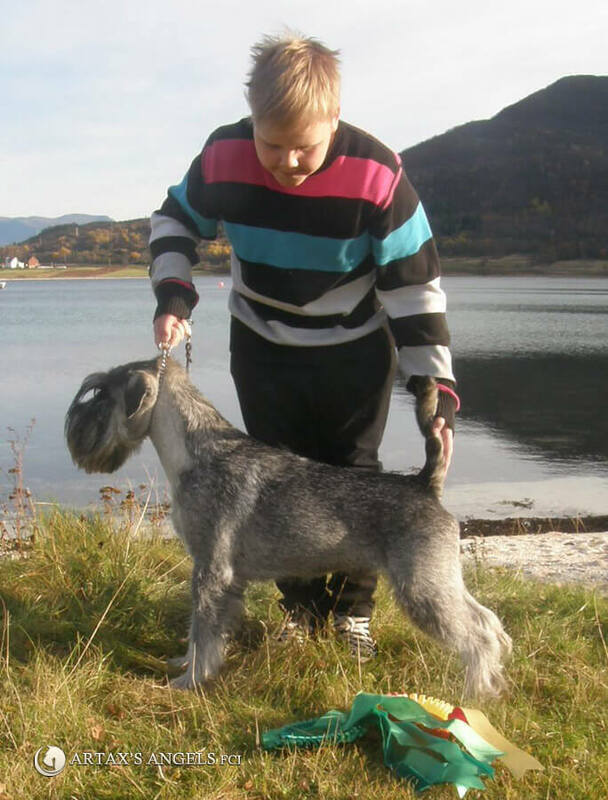 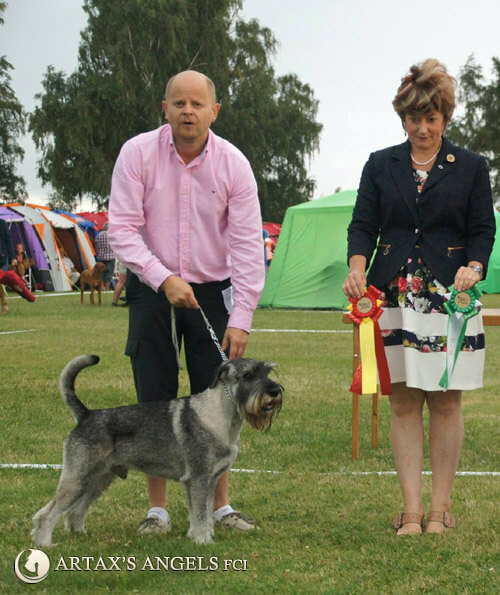 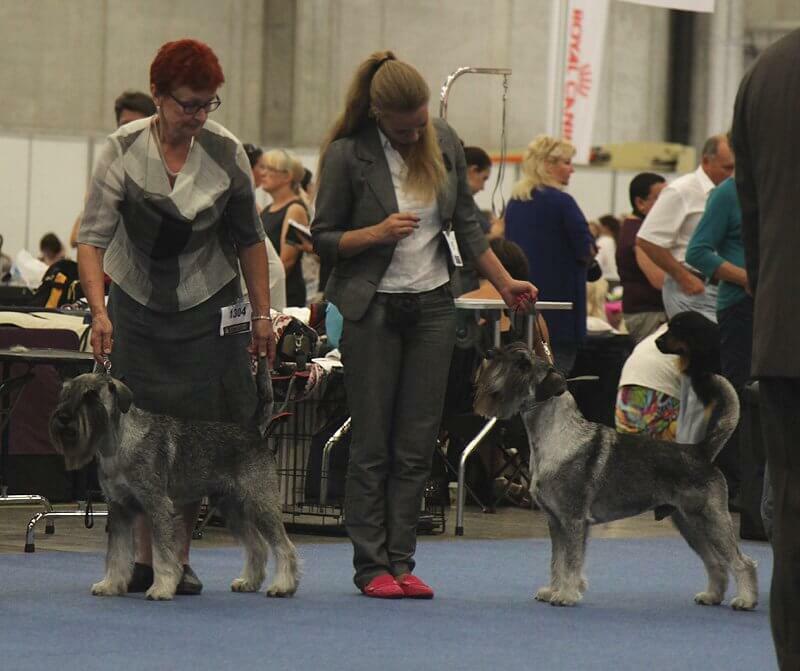 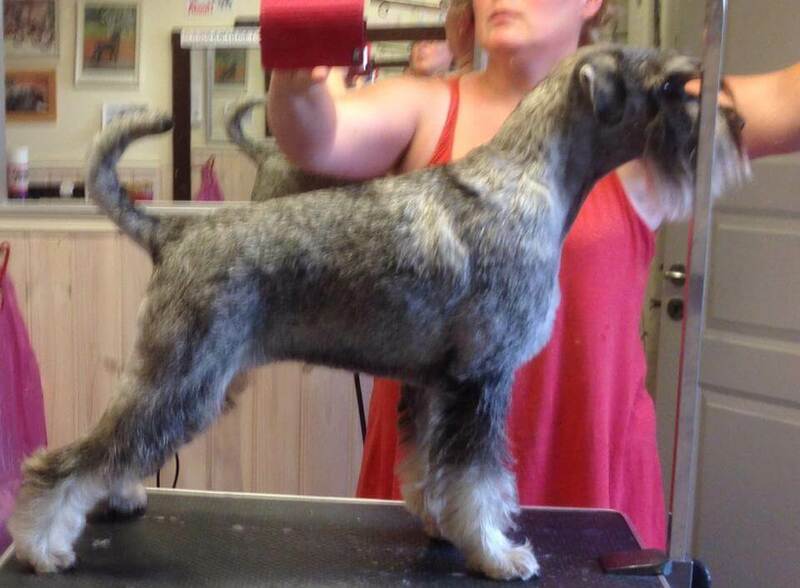 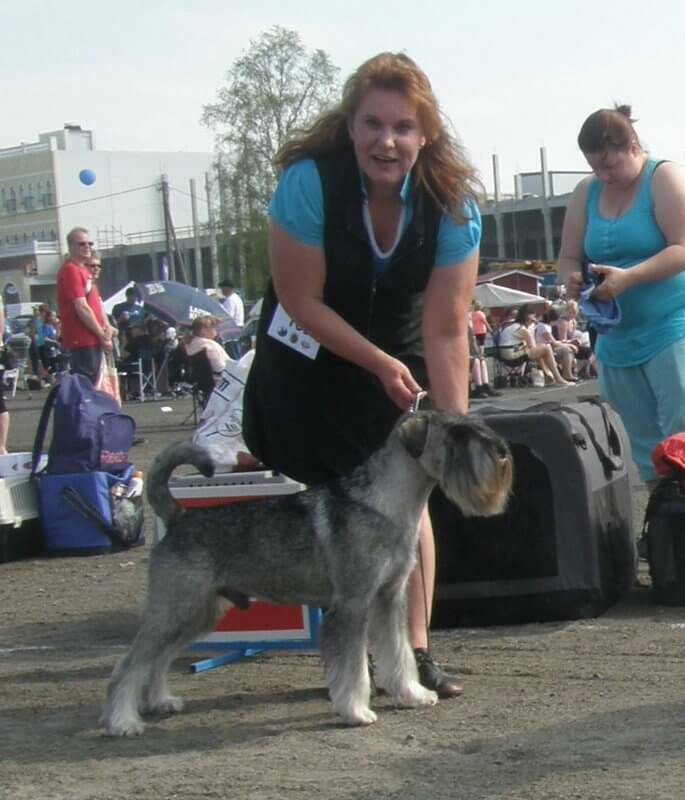 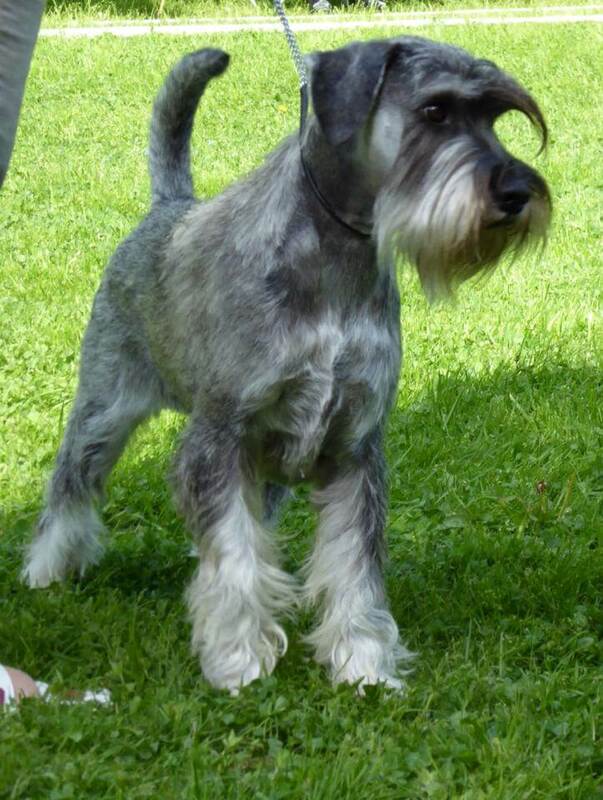 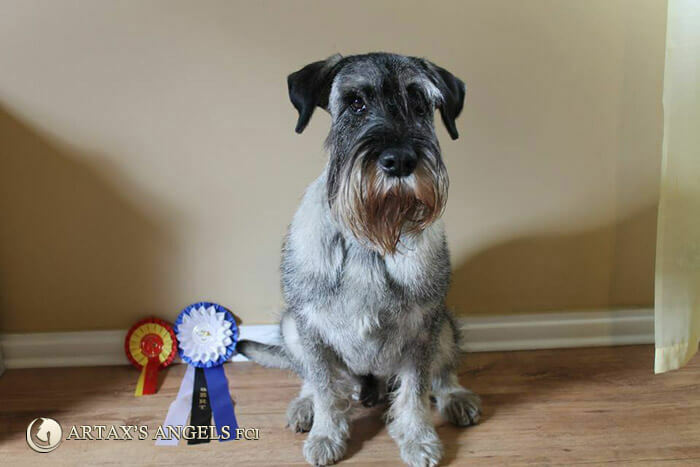 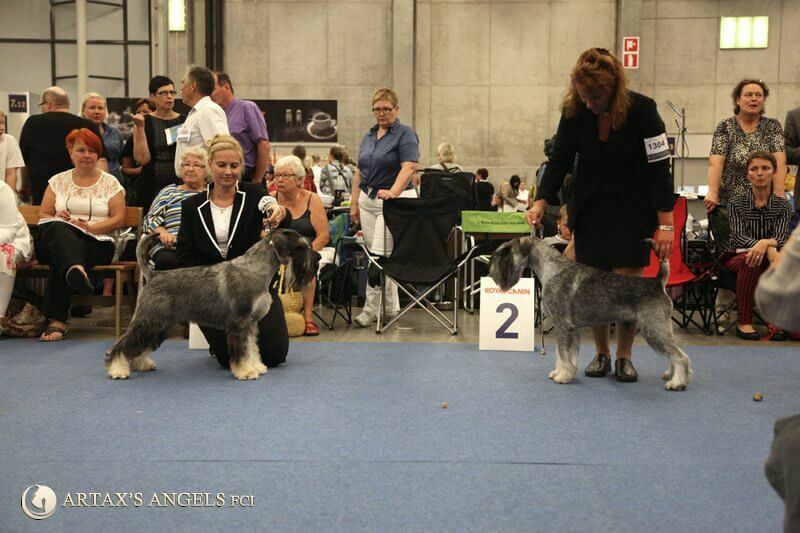 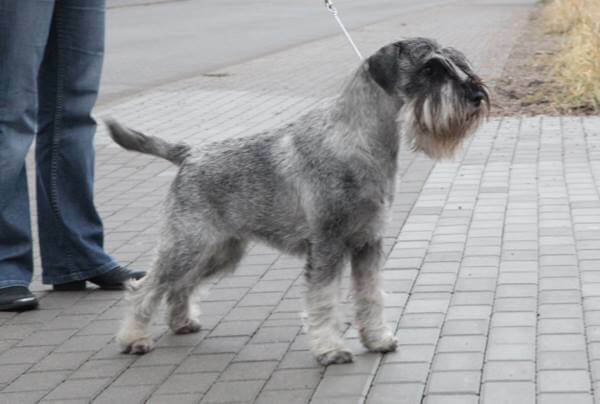 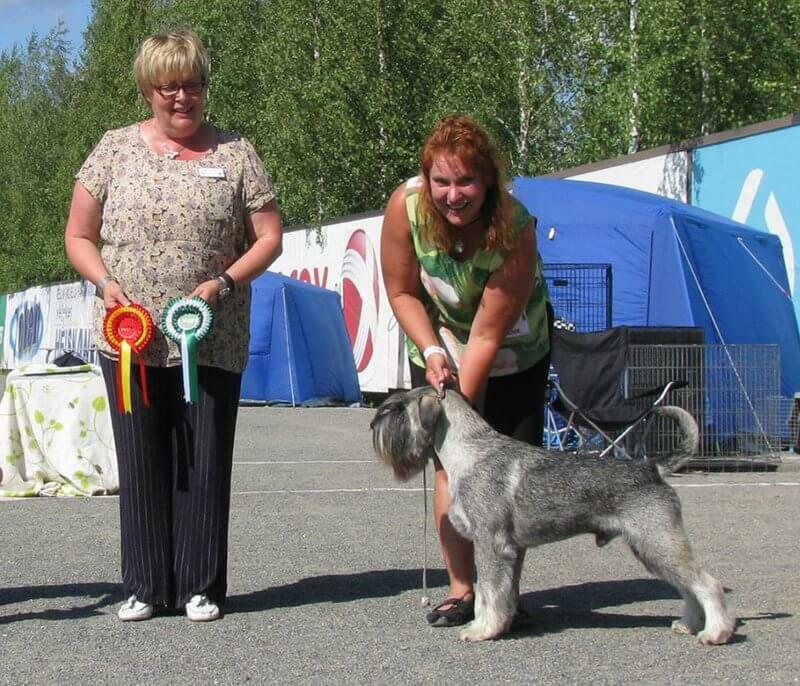 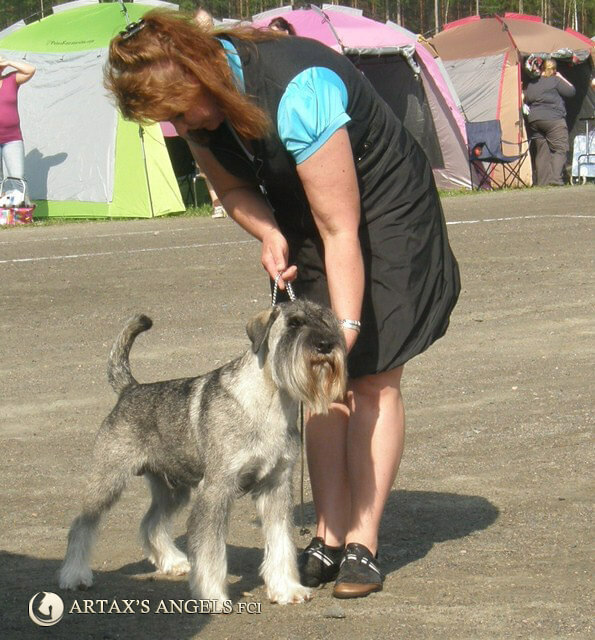 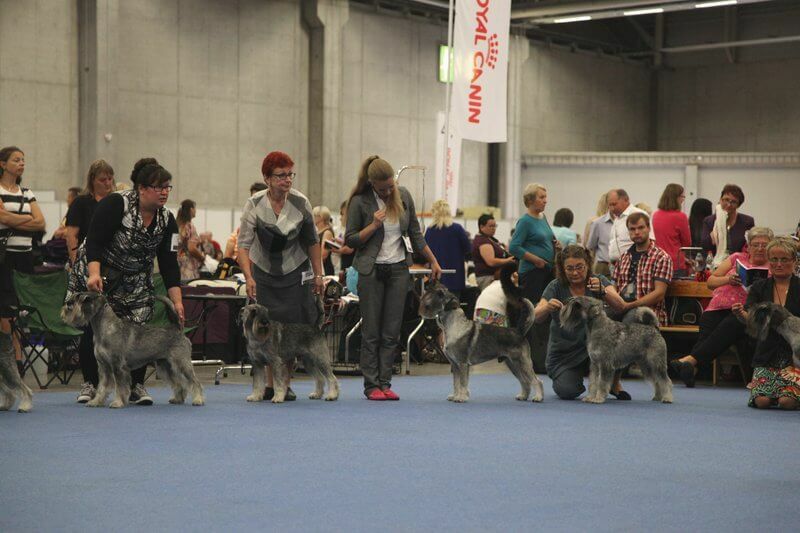 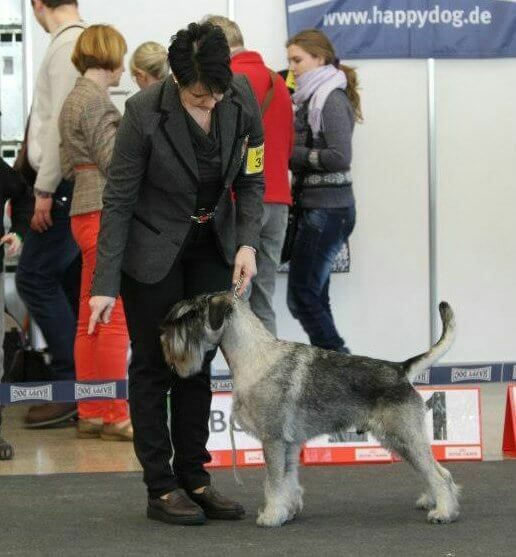 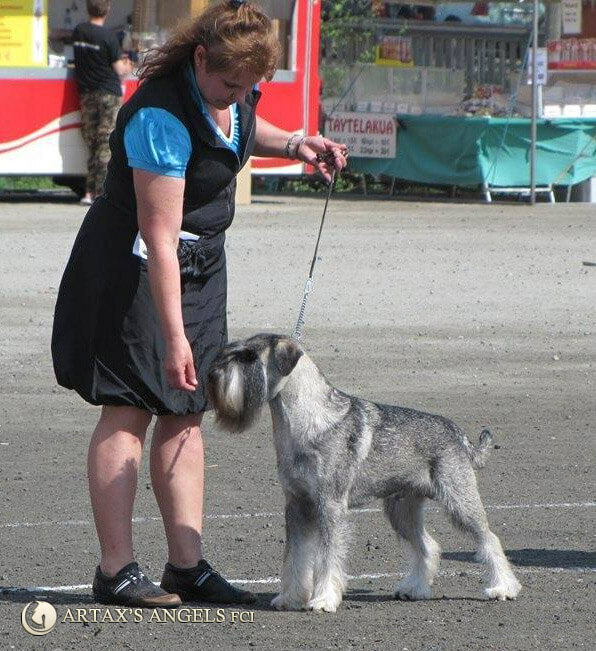 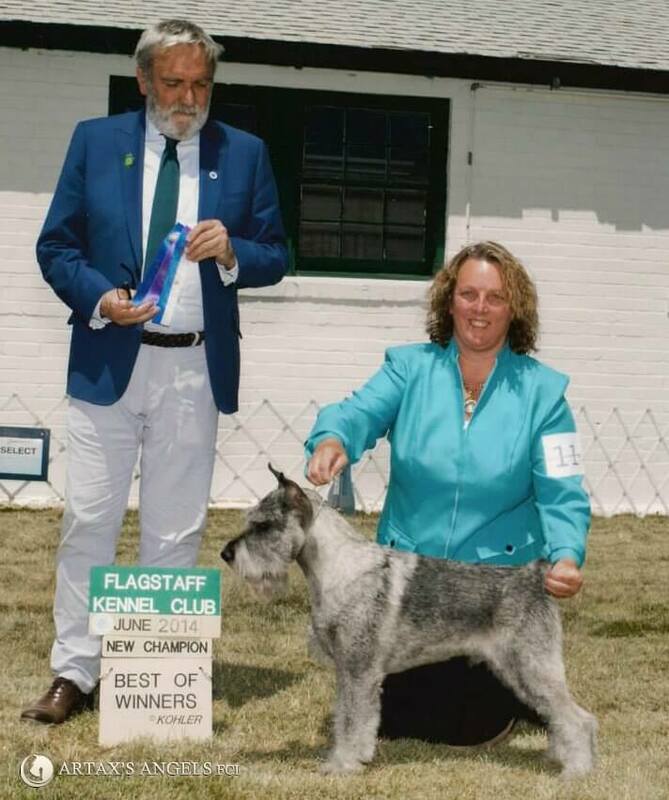 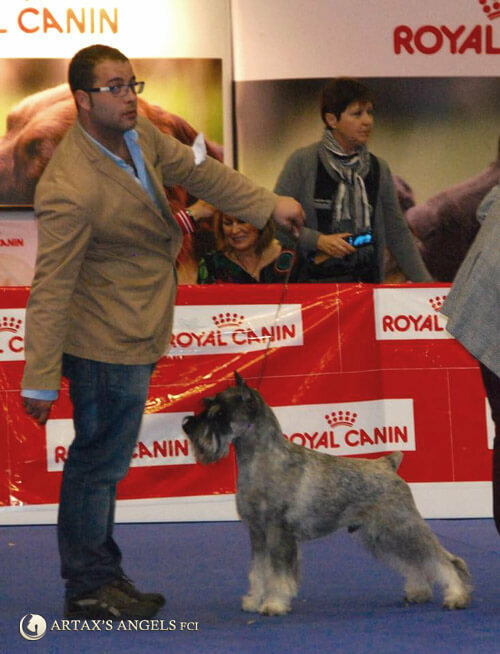 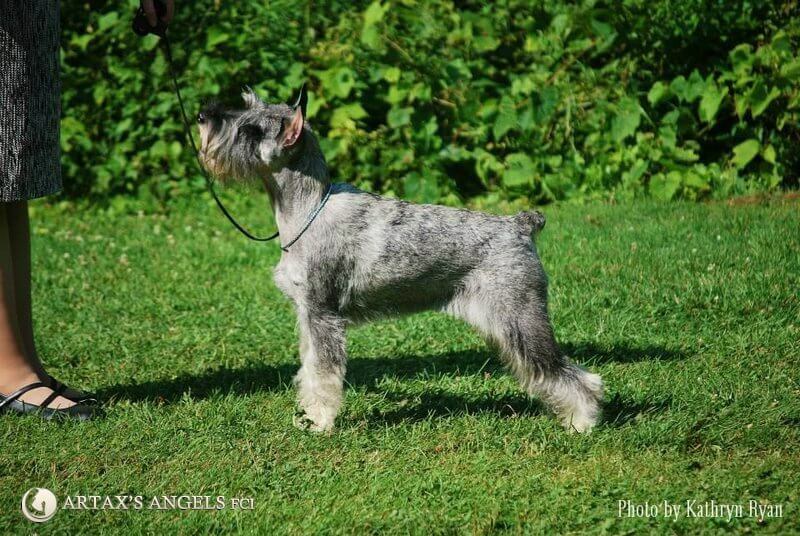 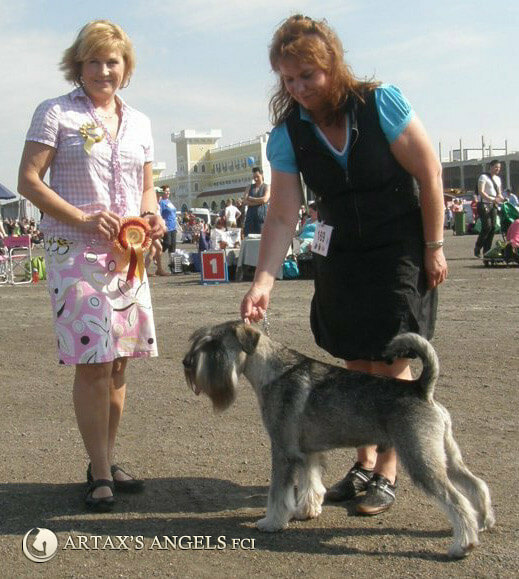 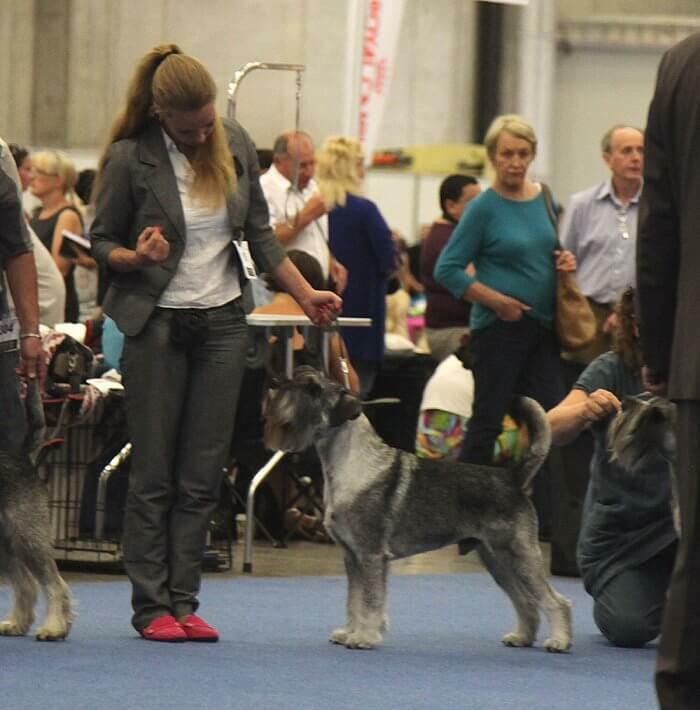 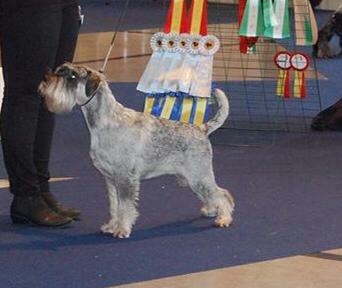 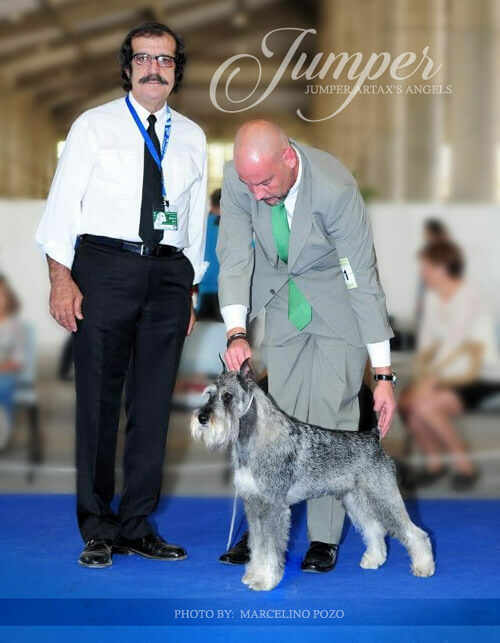 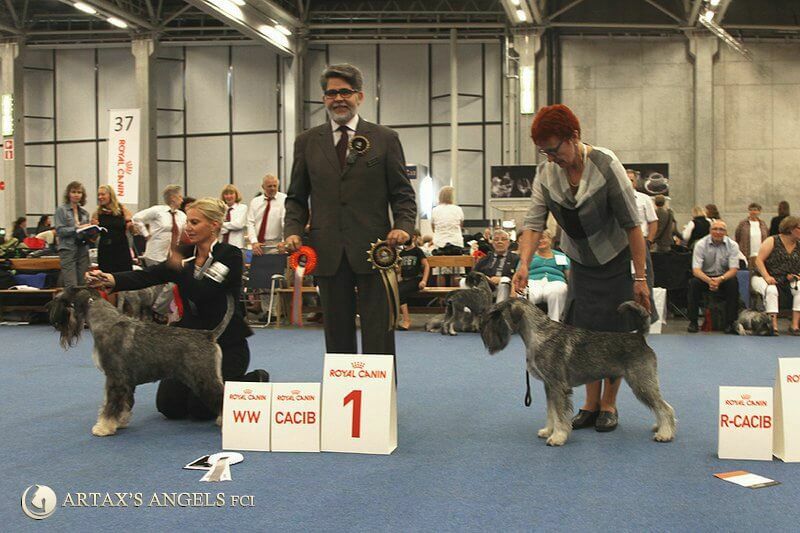 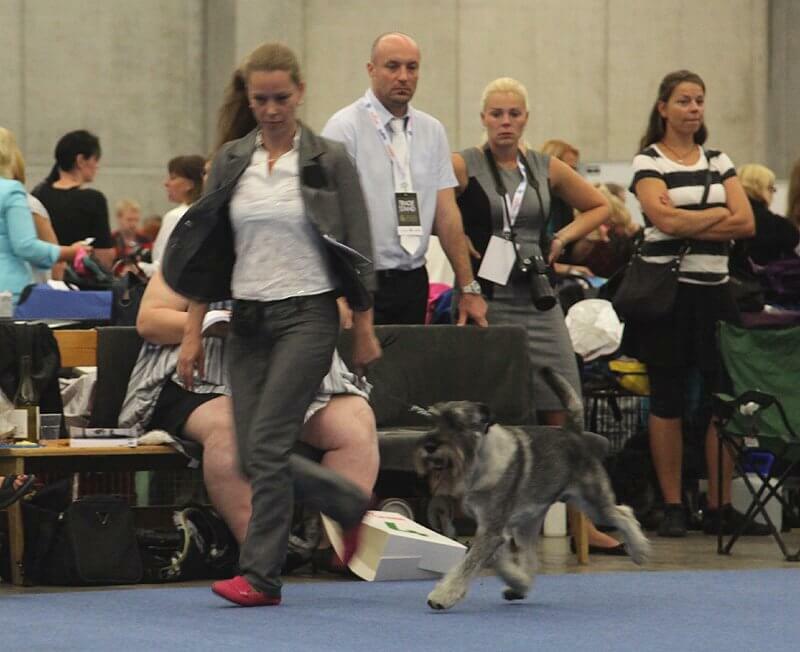 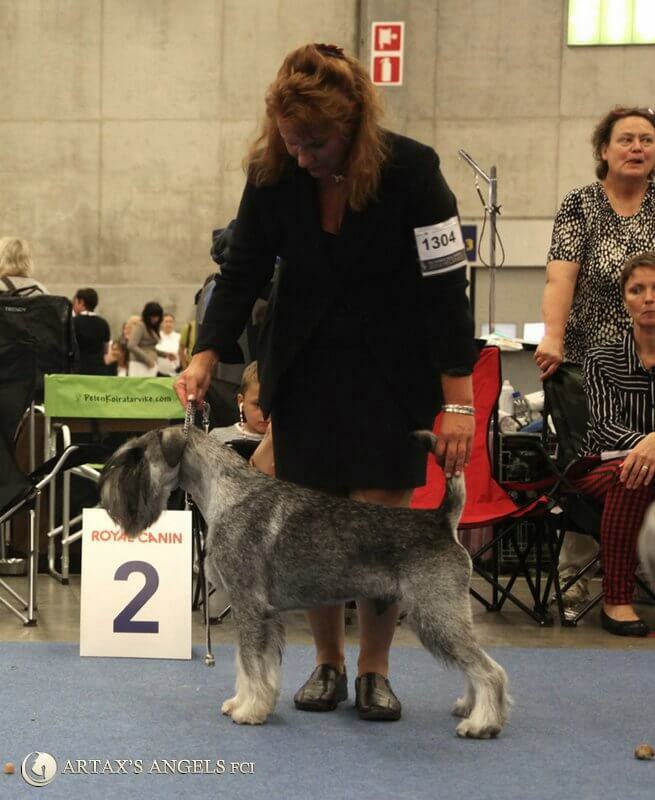 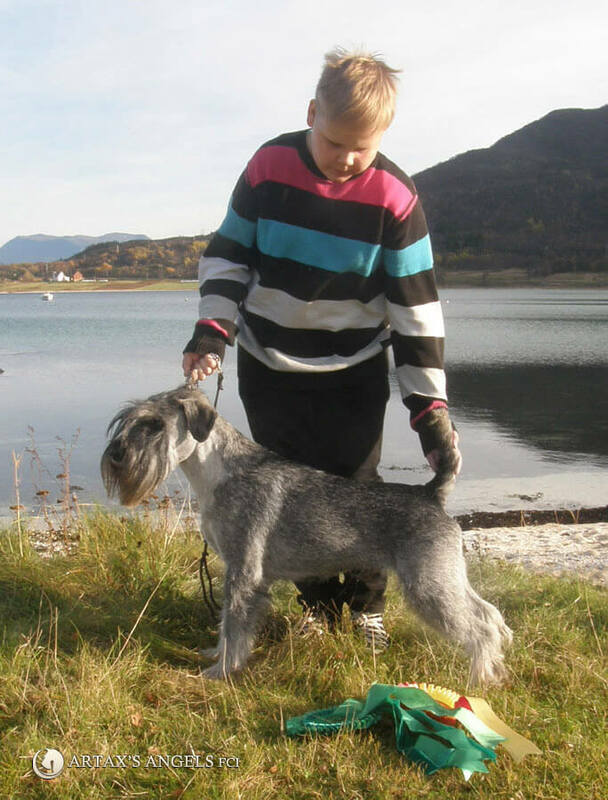 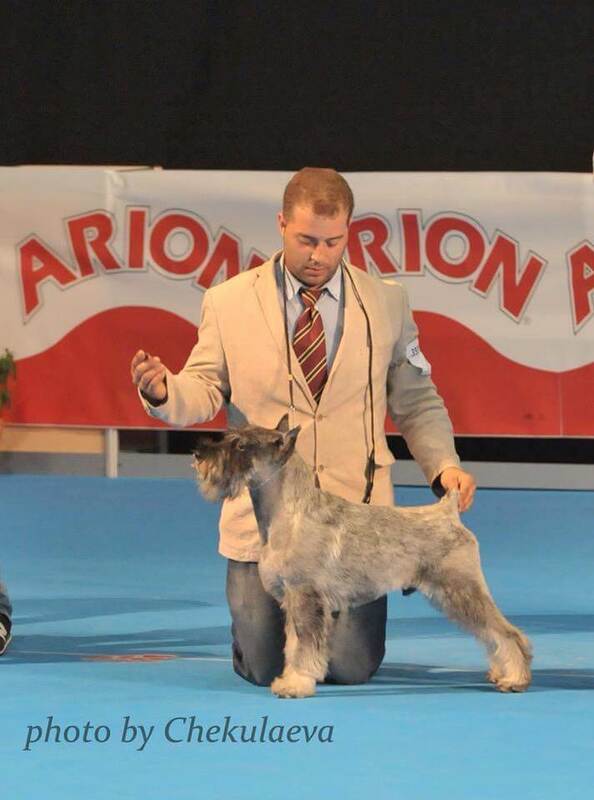 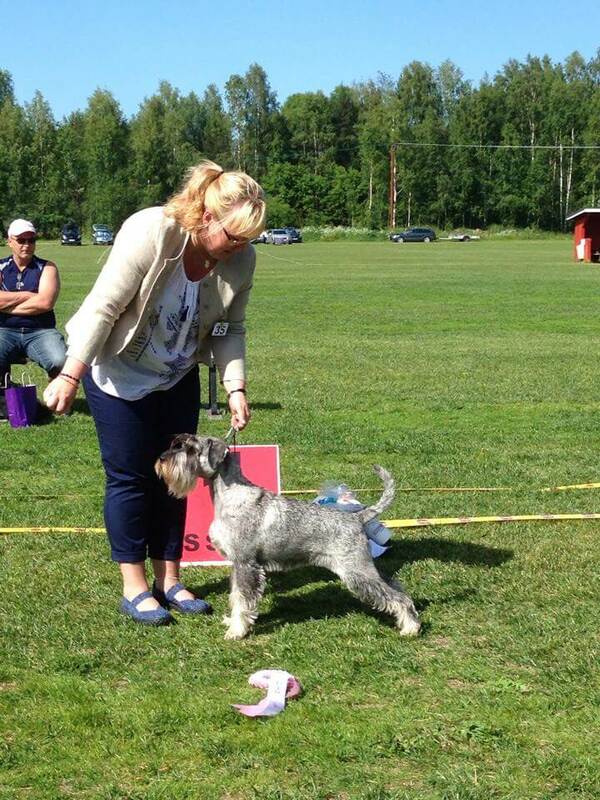 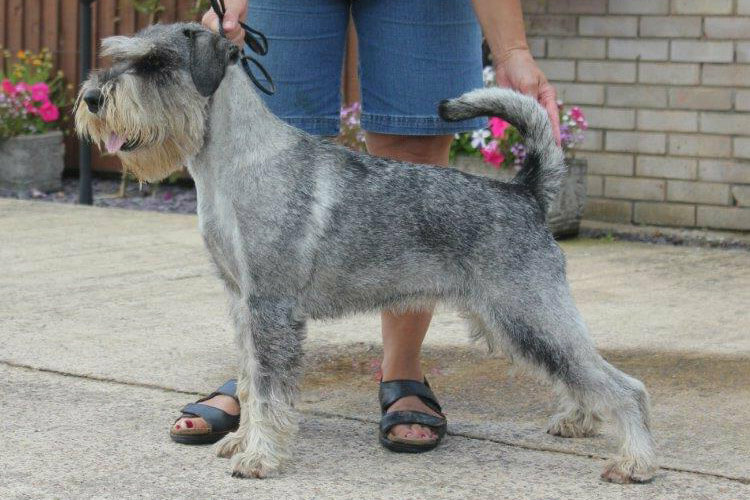 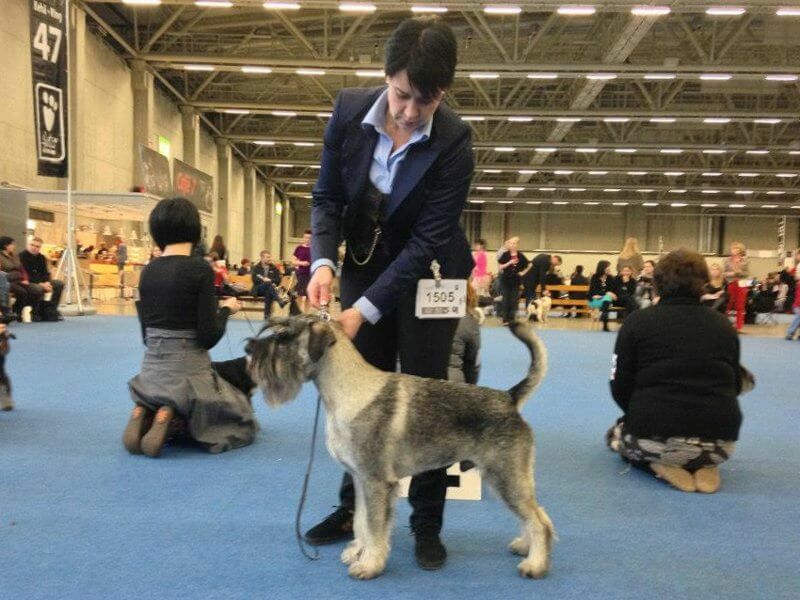 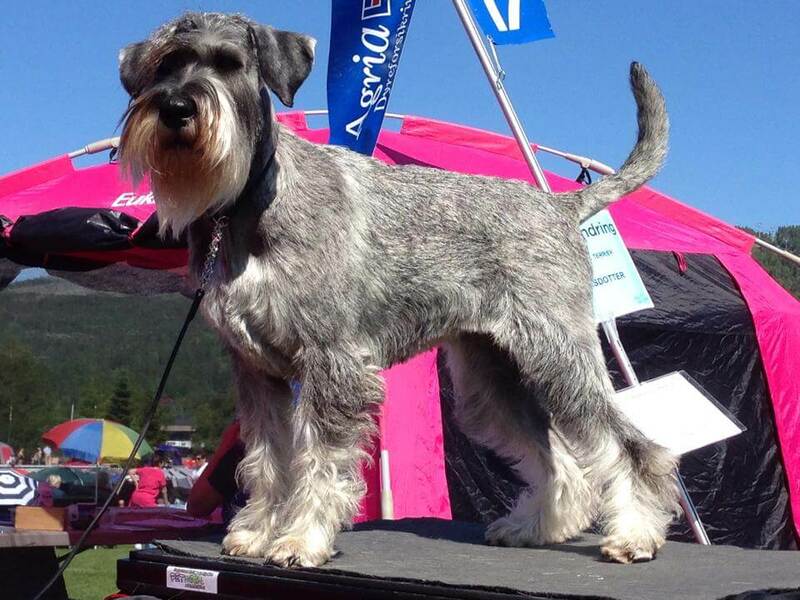 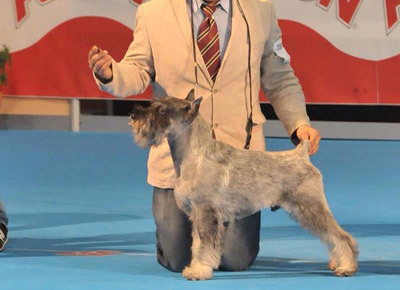 Best Schnauzer puppy 4-6 months in 2013 & 4th place all breeds in Sweden !!! 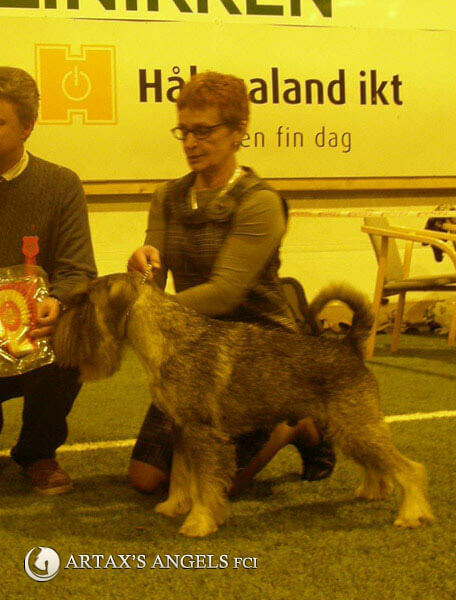 Many thanks and congrats to Merja & Atte, owners of Budo. 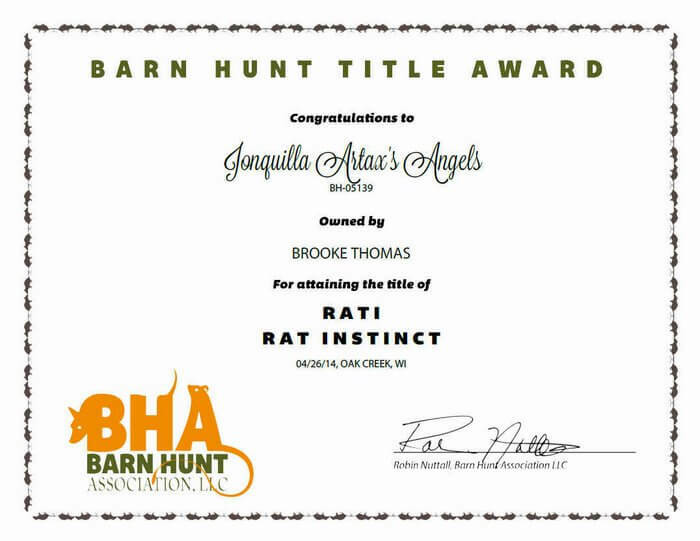 Big congrats to owners Merja & Atte! 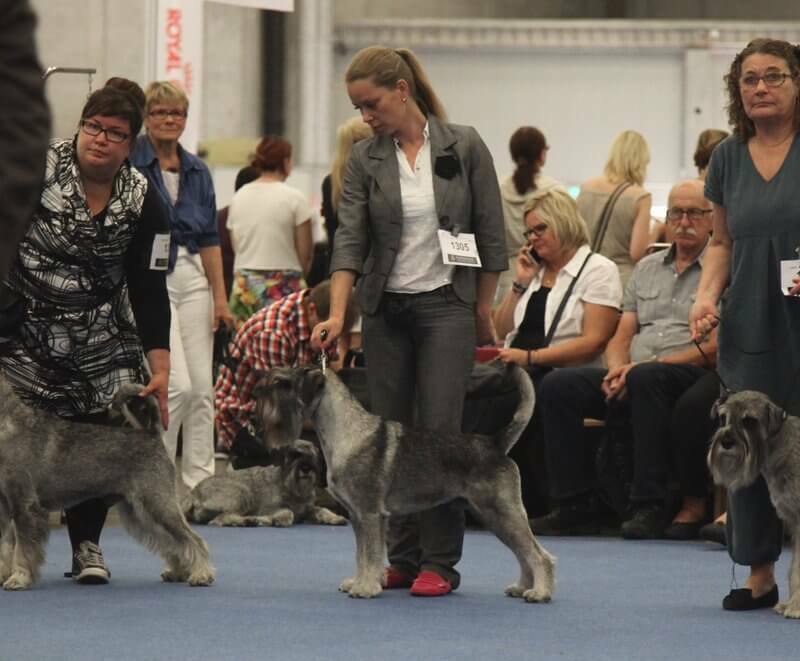 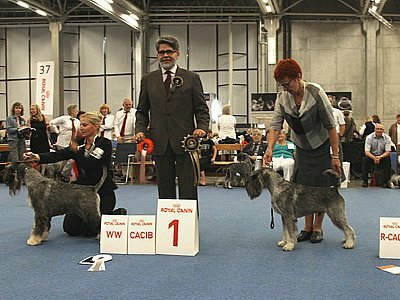 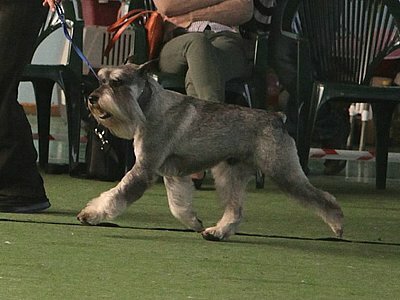 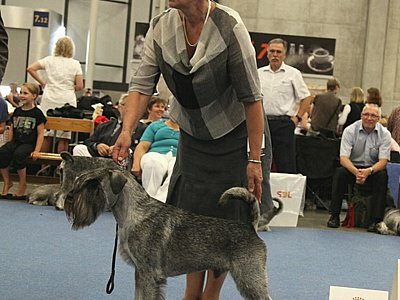 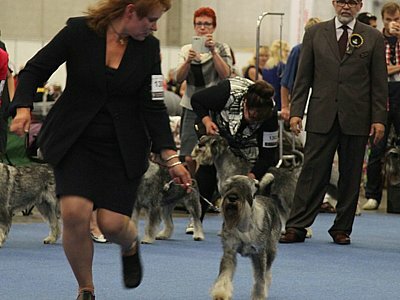 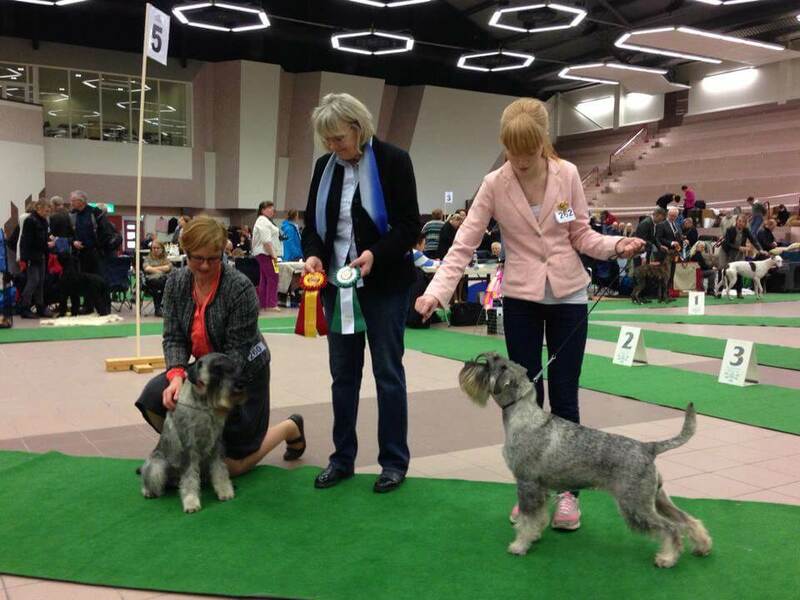 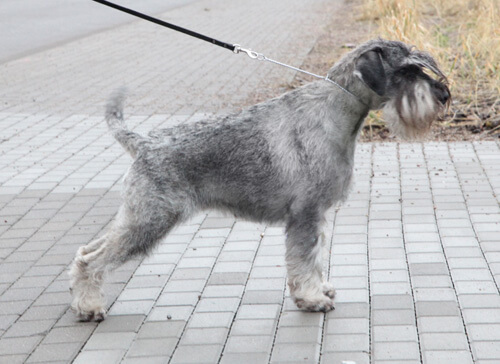 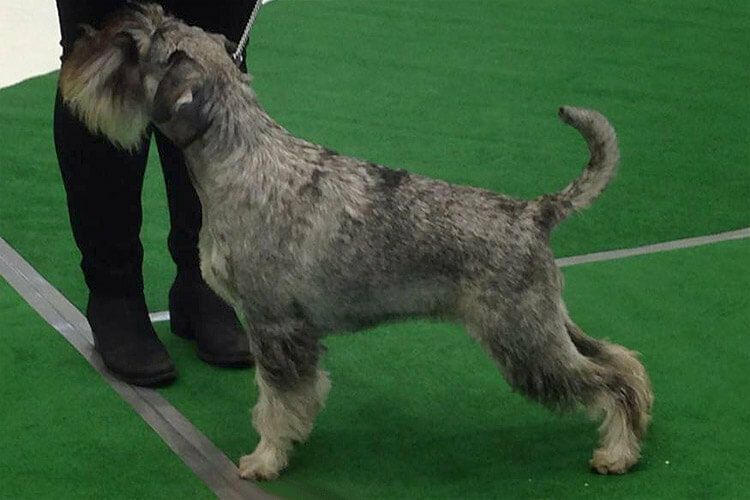 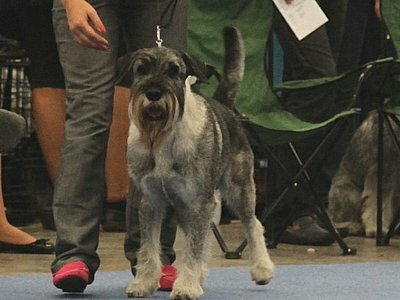 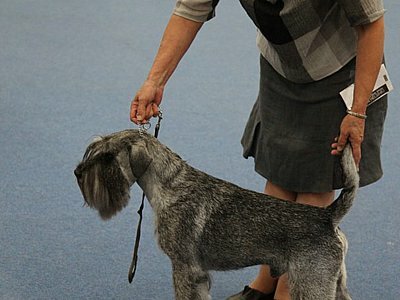 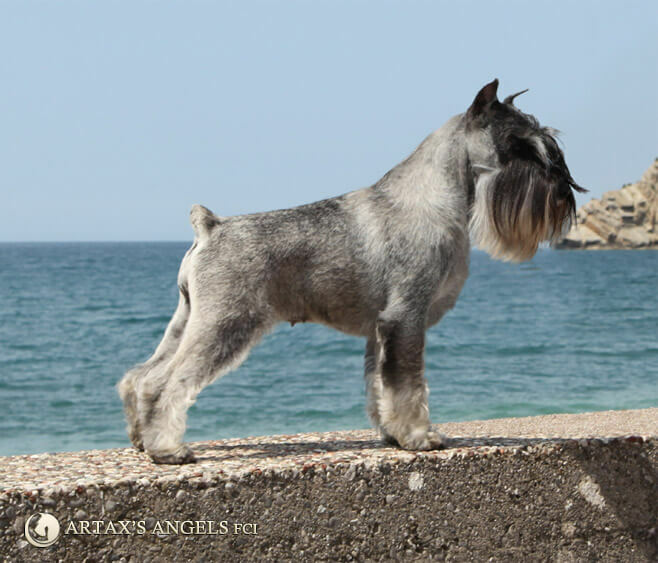 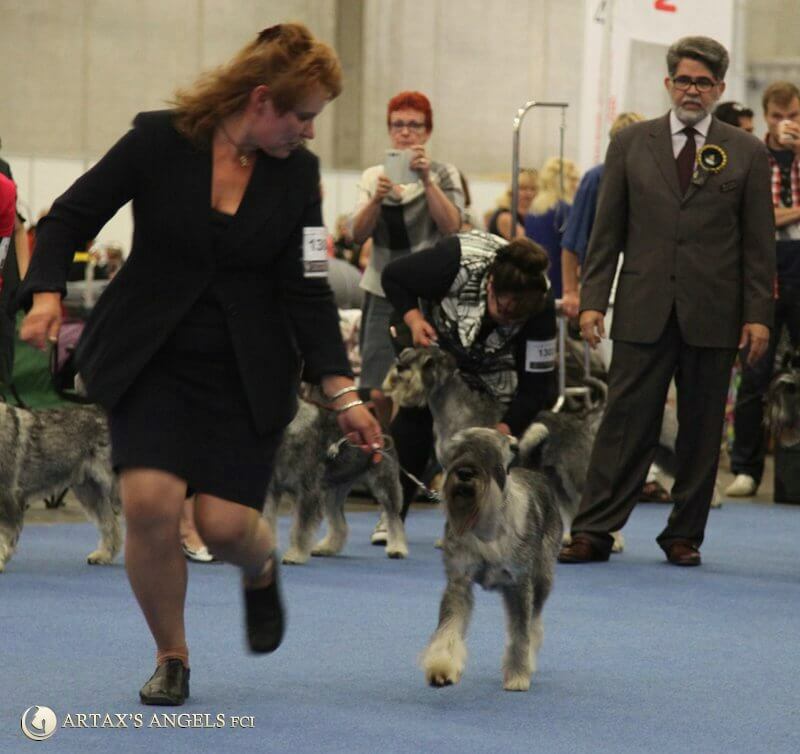 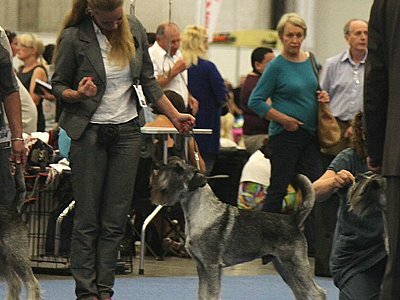 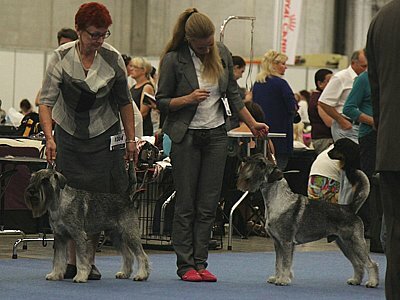 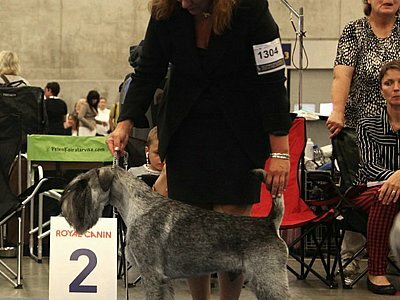 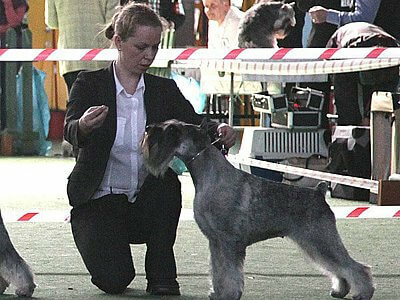 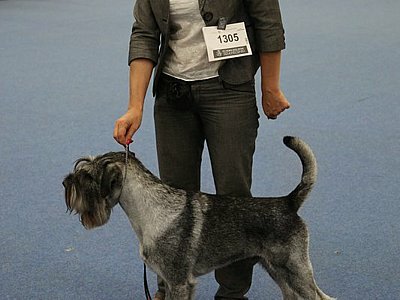 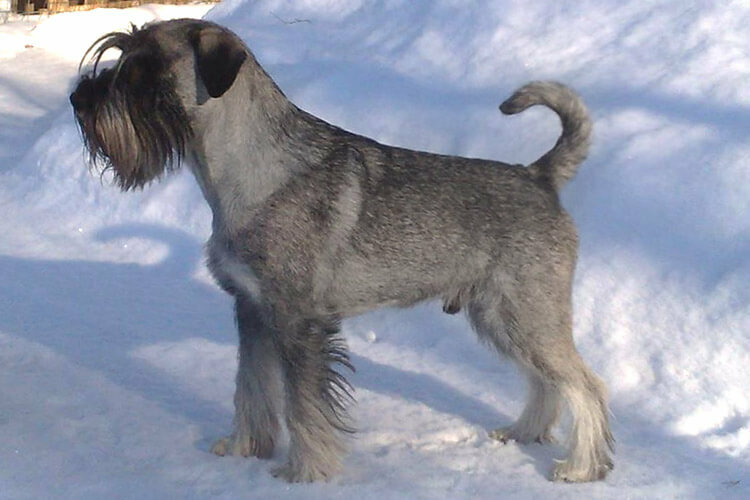 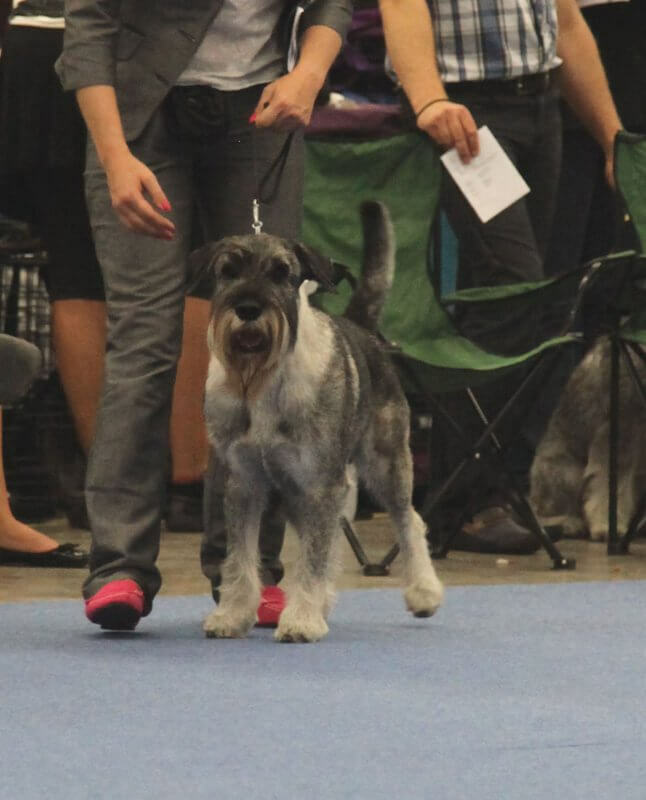 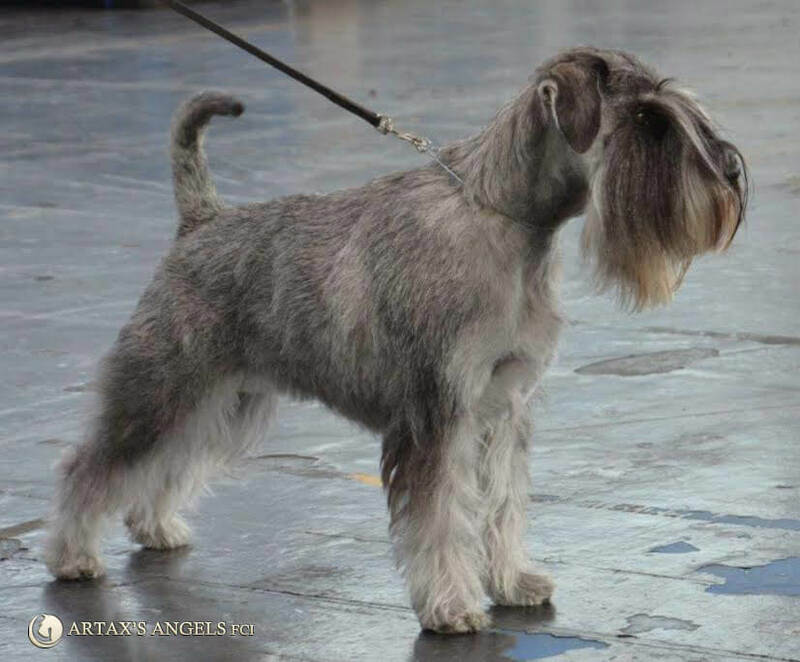 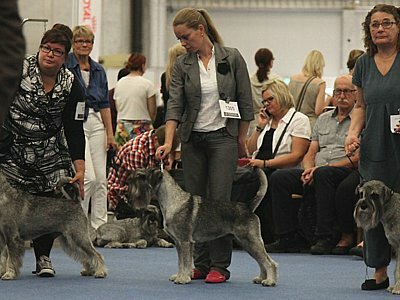 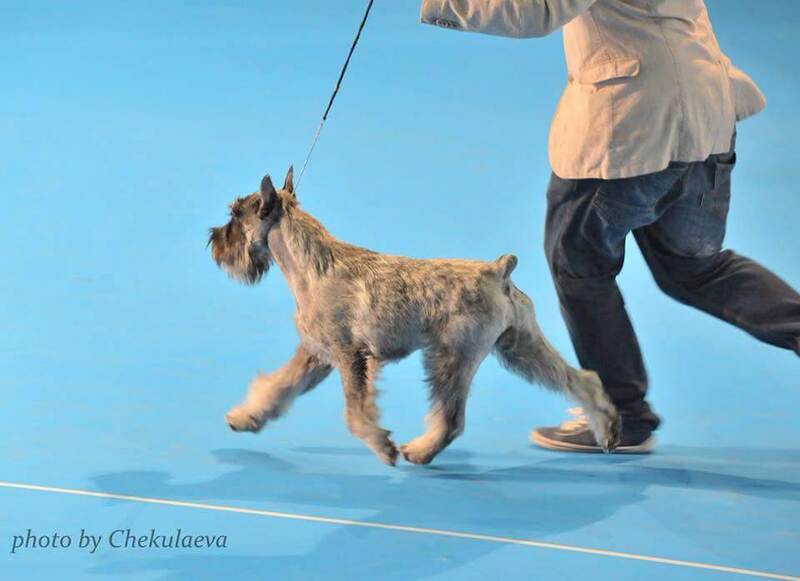 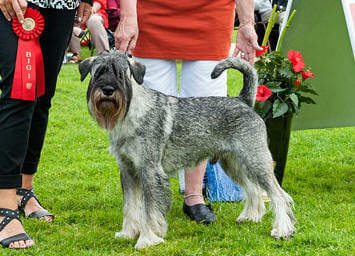 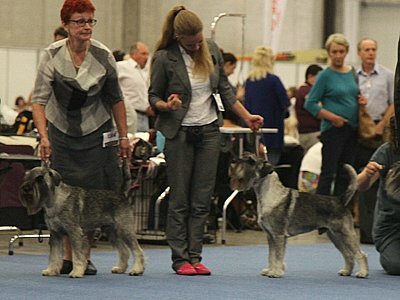 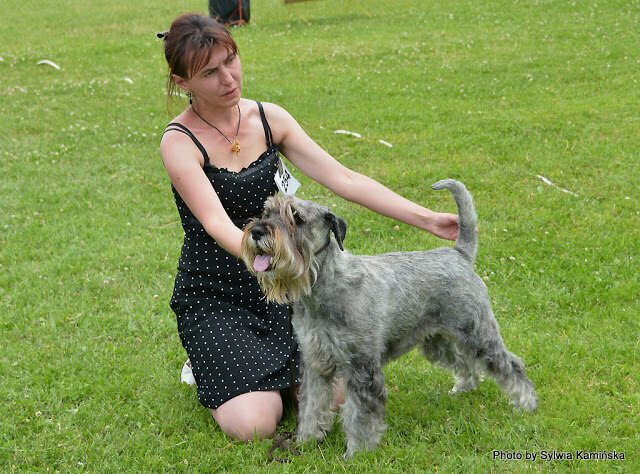 International Dog Show in Turku, 31 schnauzers participating! 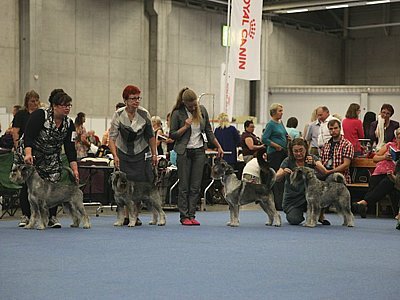 International Dog Show in Kajaani, 35 schnauzers participating!